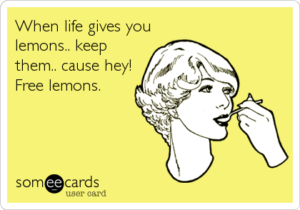 We’ve seen all sorts of quotes about what to do when life hands you lemons. Some recommend keeping them because, “hey, they’re free”. Others say “add their zest to your life”. 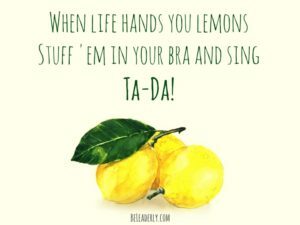 Still others recommend stuffing them in your bra and saying “ta-da!”. 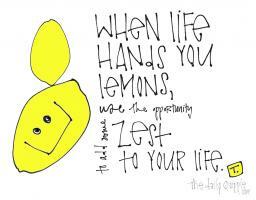 Then, of course, you can always make lemonade from them too! Here in DINE country, the 12 Distinctive Inns of New England (DINE) have perfected the art of lemons to lemonade, pancakes and coffee cake too. Lemon adds such a fresh and summery taste to our breakfast and tea time tables. Plus, we add in some cranberries and blueberries, just to add more fresh color and taste. Add these to a romantic getaway at any of our 12 member inns and you have the perfect summer treats. Just in case you can’t fit in a DINE getaway soon, here are a few lemon recipes from our kitchens to yours. In a medium bowl, beat the egg and mix yogurt, oil and milk. Stir in the sugar, lemon rind and nutmeg. Sift together the flour, baking powder & baking soda, in a separate bowl. For each pancake pour a ¼ cup of mixture onto the griddle and cook the pancakes until they are puffed. Serve 3 pancakes with cranberry maple syrup and finish with a butter curl and sprig of mint. 1.Preheat oven to 350 Degrees F. Grease & dust with flour a loaf or Bundt pan. 2. In a mixer fitted with a paddle, cream the butter and the sugar. Add the eggs, and mix. 3. Sift together the flour, baking powder & salt. 4. Add the dry ingredients, alternately with the milk, to the butter mixture. Mix completely. Then add in the blueberries, lemon & juice. Stir carefully, so as not to crush the berries. 5. Pour batter into prepared pan. Bake for 50-60 minutes, or until a toothpick inserted in the center comes out clean. 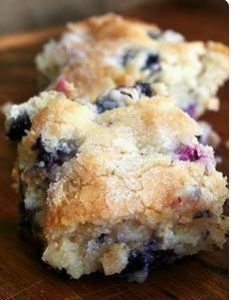 *Note-In Summer, when blueberries are in season and at their best,this is a great recipe to multiply and freeze the finished cakes for later. 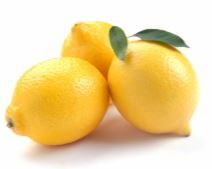 Place the lemons, sugar, vanilla bean scrapings, ginger and water in a roasting pan and stir. Place roasting pan in the oven and roast, stirring occasionally for about 30 minutes, until the edges of the lemons begin to caramelize. Remove the roasting pan from the oven and cool to room temperature. Place a strainer over the bowl of a food processor and squeeze the juice from the lemons. Strain the liquid from the roasting pan into the processor bowl. De-seed and roughly chop 2 lemon halves and place in the food processor. Process the lemon juice and lemon pieces until smooth. Strain the contents of the food processor into a large pitcher, add 4 to 6 cups water, lemon juice, sugar to taste and ice, stir well. Pour into ice-filled glasses and garnish with mint leaves, top with good sparkling water. It’s not too early to start planning your fall visit! Click on any of the links below to go directly to our member’s websites. In Massachusetts: Harbor Light Inn in Marblehead, Gateways Inn & Restaurant in Lenox, Deerfield Inn in Historic Deerfield and Captain’s House Inn in Chatham on Cape Cod. In Connecticut: Inn at Harbor Hill Marina in Niantic. 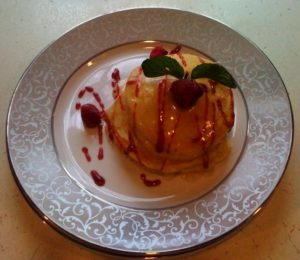 Note: Header photo credit: One of the many artistic desserts at Rabbit Hill Inn. Jumping Rocks Photography. This entry was posted in advice, Captain's House Inn, Deerfield Inn, Gateway's Inn, Recipe, Summer getaways and tagged fun lemon treats, inn recipes, Lemon breakfast recipes, lemon recipes from New England B&Bs, lemon recipes from New England Inns, lemony recipes from innkeepers, lemony summertime recipes from New England innkeepers, New England Inn recipes, summer breakfast recipes, summer recipes by DINE Blogger. Bookmark the permalink.